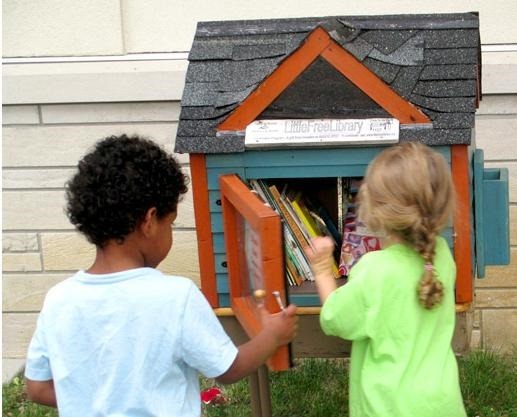 We love the Little Free Library movement where neighbors put up wooden boxes full of paper books to share. It’s just a way for phone owners with shared passions to work out the technical details, discover and enjoy books on their phones, discuss the books together, and perhaps get guidance from librarians or teachers (earlier thoughts here from the LibraryCity site). Libraries, in fact, could launch full-strength cell phone book clubs (complete with videocasts through Google+ hangouts), described here in detail. The LibraryCity site has also mentioned the club-related possibilities for schools, where students so often learn better together. Learning—that’s the main reason for the St Columba’s High School site! But why not informal, do-it-yourself cell phone book clubs as well? The tips below even include advice for people without cell phones right now, or the usual WiFi connections. Book-capable phones running the Android operating system can sell for $30 or so, although many may have restrictions on export to Zambia, for commercial reasons. Scads of free book are online for the entire world to enjoy, and library e-books are now available in countries such as the U.S. Not to mention the ever-expanding collections of Amazon, Kobo, Barnes & Noble and the like. “Besides,” we’re fond of asking, “what are you most likely to carry with you, almost always?” Yes, a cell phone—just like your keys and your purse or wallet. The cell phone book club idea is timely right now. Salon, the online magazine, has even published an article titled “War and Peace” on the subway: How your iPhone is saving literature. A headline writer can dream, right? Still, the potential is there in less dramatic form. Most U.S. teenagers own smartphones, capable of displaying e-books. And phone screens keep getting bigger and sharper. Apple has introduced a phone with a 5.5-inch screen, and companies like Samsung sell six-inch models. Step by step, here’s how you can start a cell phone book club—whether you’re in a posh neighborhood or a poverty-stricken village. 3. Find out from the library what books of interest to club members might be available from commercial services when available. Your library can show you how to use the service and also see if arrangements can be made for club members to access copies of the same books simultaneously. Besides, there’s nothing wrong with reading books on paper, through library kits or otherwise. Also consider public domain titles. You can legally make as many copies as you want, and keep books on your phone forever. Project Gutenberg is a leading source of free classics and other books.Feedbooks and the Internet Archive are other public domain sources, and Amazon offers some classics at no charge. 4. Tentatively decide how to promote your club. You can try everything from the Web to word of mouth, bulletin boards, leaflets, notices on Little Free Library boxes, and publicity in the local newspaper (partners, maybe?). 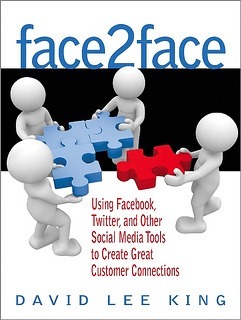 David Lee King, the digital services director for the Topeka and Shawnee County Public Library in the United States, has written Face2Face, an excellent guide demystifying Facebook, Twitter, blogs and other social media. To reach neighbors, consider organizing a Nextdoor site, a “private social network” with e-mail notifications, a Web version and also smartphone apps for Android and Apple devices. Yes, you can use a recycled Android or Apple phone or a new one to read books even if you lack a subscription plan. The phones can still pick up WiFi signals used to download e-book reading programs as well as the actual books and other items. In addition, you might also investigate the possibility of a USB connection to copy books directly from your desktop. Speaking of hardware, you can also check out sources of used smartphones, which can cost less than $20. eBay is one place to look for used and new phones at bargain prices. So is Amazon. Keep in mind alternatives. You may also want to read on a desktop or tablet if available (old Nexus 7 tablets cost $55 if you shop carefully on eBay, minus customs and shipping fees). And used Kindles can cost almost as little as second-hand phones. No law exists saying you need to use a cell phone to participate in a cell phone book club. What’s more, once you know how to download books in a hurry, you can use the built-in wireless of a cell phone to get books when WiFi isn’t handy. 6. Decide what software to use for e-booking. Some commercial services let you download their own software, and the former even offers an app for Windows phones. Go here for software tips on reading library e-books and perhaps even conjuring up text to speech. We especially like FBReader and Moon+ Reader. FBReader is available for Android and in a more primitive version for Windows devices, and Moon for Android, and Marvin works with iPhones, iPads and iPad Minis. FBReader and Moon+, at least in Android flavors, even come with a way to search for free books and bring them directly into the e-reading software. So you don’t have to mess with a Web browser. 7. Check out the WiFi situation. If WiFi is a concern and your local library has a slow connection or, in some cases, none at all: Check out local businesses, especially chain hotels and fast-food establishments to see if they offer WiFi. 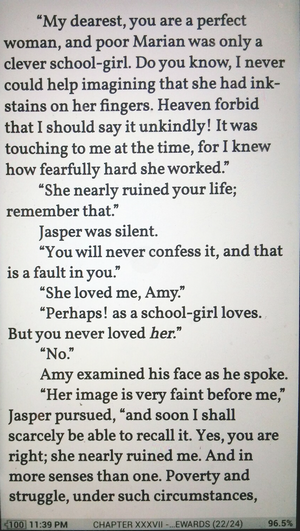 You could download books to enjoy away from the the wireless connection. Also see what free books might be available on DVD or CD from sources such as Project Gutenberg; here are the relevant PG-related links. Greek and Roman classics, the plays of of Shakespeare,Huckleberry Finn, 20,000 Leagues under the Sea, Alice in Wonderland, and the Wonderful Wizard of Oz—Gutenberg has them all and plenty more. You could set up a LibraryBox and let people download Gutenberg books and FBReader or other Android e-reading software from it without any Internet connection needed. And if you lack the technological smarts for LibraryBox and other solutions, see the next item telling where to look for help. 8. If you’re not tech-savvy, find out what technical help might be available near by. And don’t forget science club members at the local high school. If they don’t know e-book tech for cellphones, they just might be willing to go on the Net with desktops and learn. Sites like MobileRead offer friendly forums where newcomers can ask questions. 9. Don’t just view the Web as a way to promote your club. Make it an integral part of it, perhaps, to bridge the gap between the physical and the virtual. Think ahead to the time when you or your library might start a blog or Website devoted to the activities of the club—just make sure it will display well on phones. One good choice could be the WordPress.com blogging site, which, in its basic version, is free. Also, consider using the free ScribeFire blog editor to edit your posts. Our ScribeFire instructions are here.